It's always a pleasure to receive comments and photos from our many happy customers. Thank you for my amazing Cream Inframe kitchen. O'Rourke Kitchens used my seedling of an idea to design and create mytruly unique, timeless,dream kitchen. They provided me with customised design and space enhancing solutions & as a result my kitchenlooks twice the size and is full of natural light. My dream kitchen was on time, on budget and no request was too big or small.If you want a truly unique, gorgeous kitchen, then look no further.....you've found the perfect company in O'Rourke Kitchens. Thanks again Emmet & the team. 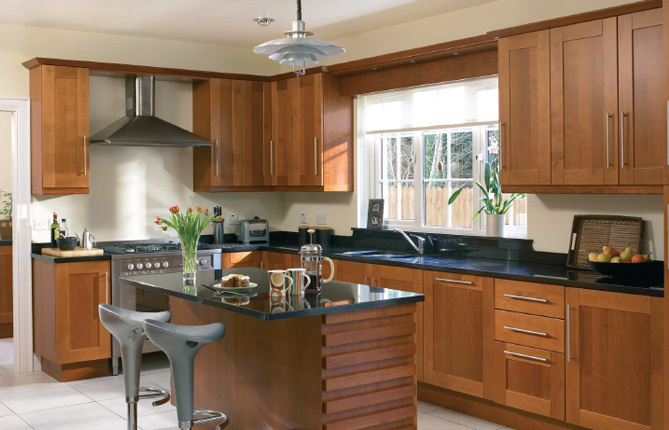 We can genuinely say that the quality and service we experienced when O'Rourke Kitchens designed &installed our new kitchen was second to none! They were polite, on time and very competitive. We have recommended them to many friends & family,all of whom are also very satisfied. Elaine Corcoran, Dunboyne. Co. Meath. From my first meeting in the showrooms at the design stage I knew that I had made the right choice by going with O’Rourke Kitchens. Even though I had supplied all dimensions they even travelled to Cork to ensure all measurements were correct before going ahead. Their advice on design proved invaluable. After all they are the experts. Installation went without a hitch and everything was left spotless after the job was done. All in all I have to say a very professional outfit and reasonably priced too. Delighted with our new kitchen, Emmet took our ideas and suggestions and his design was much more than we could have imagined.They transformed our house in two days, looking after the removal of our old kitchen, installation of the new kitchen, plumbing & electrical work.Very proud of our new space. Thanks so much O'Rourke Kitchens. "We just wanted to express how delighted we are with our new Kitchen. It looks absolutely fabulous. Our Kitchen was delivered in perfect order. Futhermore Emmet,Tom and Kevin did an excellent job. The kitchen was very impressively completed within one day and finished beautifully."